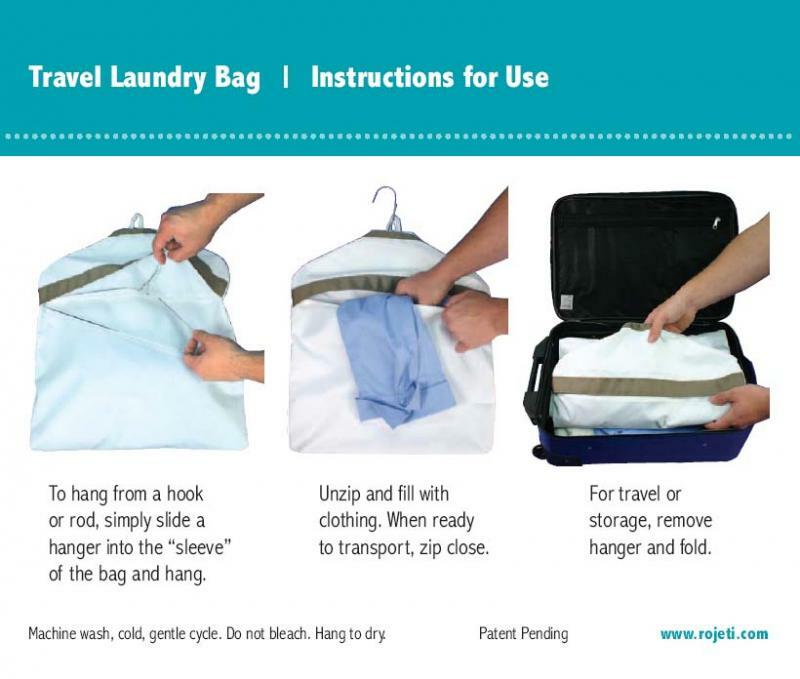 An easy to use, eco-friendly solution for the traveler. 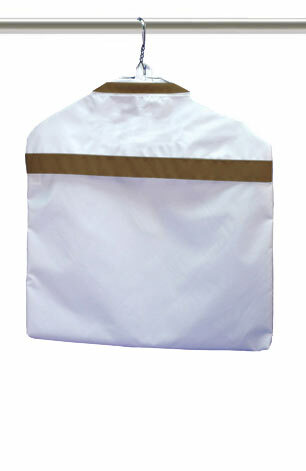 We have replaced the sack-like, drawstring bag with a stylish, reusable ‘garment’ bag for your laundry. 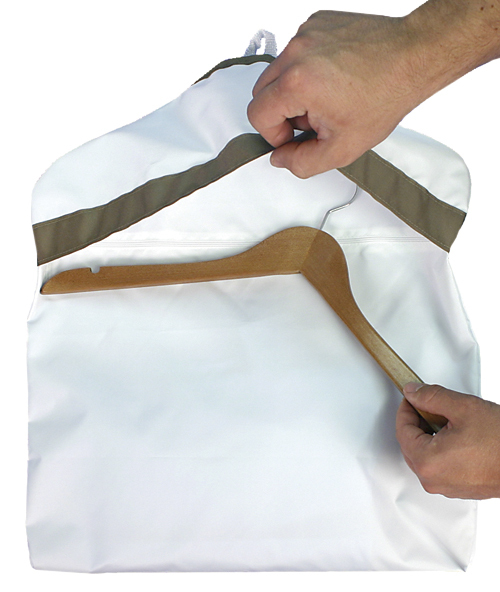 When using a hanger, just slide the hanger into the sleeve of the bag, place your private items inside the pocket, zip it close. 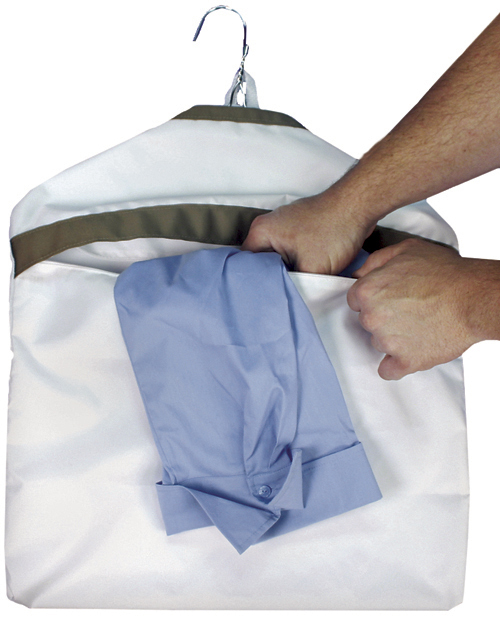 Hang the bag in the closet while using, then just remove the hanger, and place the zipped, filled bag in your suitcase. 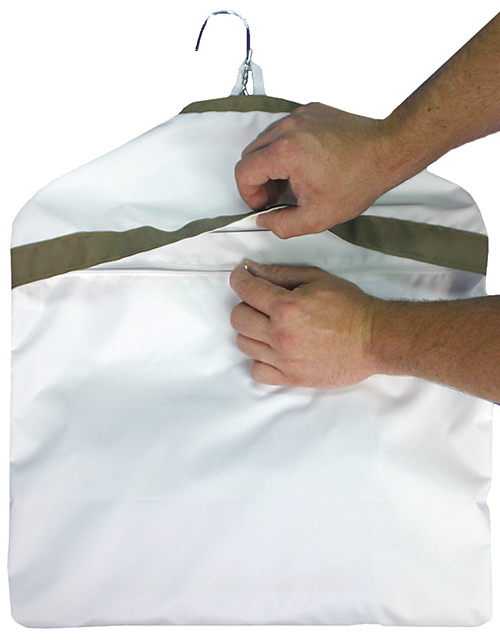 Made of water resistant nylon fabric with a 18” zippered opening that allows for easy filling and provides a secure closure. Machine wash, cold. Do not bleach. Hang to dry. 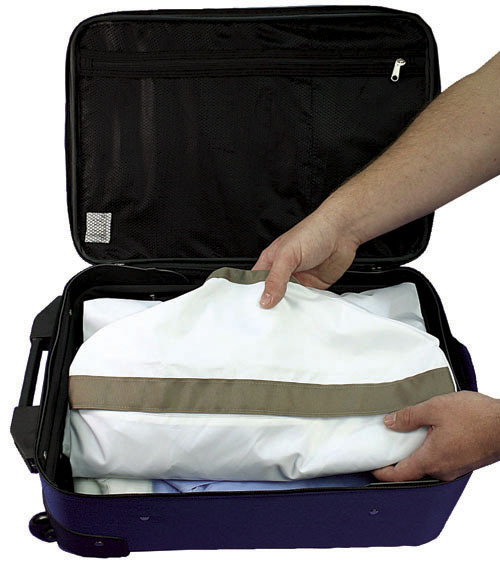 For Wholesale Pricing found under Amenity Travel Laundry (see Hotel Collection), sign up for a wholesale accounts to view pricing.